Small animal, mixed animal, large animal, and mobile practices. $300 setup fee. $500 conversion fee if needed. 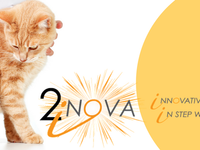 2i Nova's VTP is the most affordable and efficient veterinary practice management software on the market. We offer 24/7 support and training included at no extra cost. All updates, modules, extra workstations, and training are included with no extra fees. Choose between Paperless, Paperlite, or all the travel papers! We offer limitless, custom, and intuitive reporting in VTech Platinum. Server, Cloud, or Hybrid options to fit your desires. We offer the best with 25 years experience. V-Tech Platinum Reviews Recently Reviewed! Beats all the other expensive softwares hands down! Comments: I have managed veterinary practices for over 25 years and am familiar with a lot of veterinary software companies in the market today. V-Tech Platinum beats all the competitors in all catagories. They are extremely economical, they don't charge for extra "modules" or updates that you need to function, they have experienced, friendly support staff that care when you have problems and they outperform everyone on the business reporting and ease of use. The current clinic I manage was using a software that was blowing up our budget on support fees and updates and were going to charge us much more when we decided to switch to paperless. I immediately converted to V-Tech Platinum and went paper-lite all at once. Not only was the conversion painless, but the amount of money I saved the clinic every month, made my owner very happy. It took my staff of 40 only a short period of time to get completely comfortable with our new system. I would advise not to get sucked in by the big companies that have you buy other products or equipment to get "free software". You end up paying a lot more out of your pocket in the end for a comparable or even inferior product to run your practice. The software itself may be fine, but your budget won't be. We have used this software since 2000 in our veterinary hospital. Truly it has grown with us. Comments: V-tech is a company that is always pushing themselves to stay on top of new ideas and programs while still maintaining a close relationship with their clients. While other programs tend to sit on their laurels, V-tech strives to bring on new products and enhancements that will allow our business to grow and prosper. They are breaking the old adage-"you get what you pay for" as they give a great value for a very nominal price. No computer software is perfect and even the "big" guns like Microsoft are continually bringing in updates to fix bugs and correct issues clients find when using the software. V-tech is no different, but the team goes out of their way to try to fix the problem as quickly as possible. After 20 years with the same software, we made a huge leap and change. It's been a positive one! Comments: It's never easy getting used to new software, but the conversion went as smoothly as you can expect. Of course there are bumps, there always will be, but nothing that can't be smoothed over or worked around. Customer service is very good. All techs are polite and willing to listen. The ability to create customized forms is great, and we love the cloud based aspect of the software. For what we needed, what Vtech offered couldn't have been more perfect. We had a new owner, so changing software that would have meant big hardware changes and package fees. We had none of that with VTech. The ability to work on the old system while learning the new was also important to us after so long using the old software. Pros: The customer service is great and the interface looks nice. Cons: There are too many steps to get to one place, too picky when you try to print blood work forms, can't choose multiple clients when checking out. Has its quirks, but overall a decent program. Comments: I've used many PM software programs in my career, and this was the most cost effective way to get this hospital into a computer based program. It has some unique quirks that can be annoying but easy to work around once you know how to work the program. Once a problem is identified, the tech support teams works hard to fix it and they are always extremely responsive. Our system has never been down or unusable for any length of time. If you want a reasonably priced computer based system to get you out of handwritten invoicing, this is a great starter program. And the tech support people are wonderful. Excellent product and outstanding customer service! Comments: We have been customers of 2iNova for almost four years. Their software program, V-Tech Platinum, has been a great practice builder for us. It is so easy to navigate and can be adapted to suit your veterinary practice needs. The service is awesome! Every member of the technical support team is there for you and have answered every question we have asked. Whenever there is an issue, consider these fine people to be there to address it. Problem solved! I simply love this program. They certainly deserve your consideration when selecting your clinic software. Comments: V-tech's up front cost and ongoing cost of use is by far the best deal I have seen in the veterinary industry. They continue to update their product with novel features that improve our quality of care and service to our patients. Customer service is usually prompt but I have had some difficulties with the number of software engineers available occasionally but my overall experience has been solid. I am looking forward to their new cloud based platform ! I have used V-tech for 10 years and love it. Comments: I have used many veterinary software systems and V-tech does everything a veterinary clinic needs. It is very easy to use. More importantly their customer service is the best ever. In 10 years we have been down for a total of 10 minutes!!!! They have been willing to customize reports for us and are always making improvement in their product. I would recommend every clinic take a look at this software before making a soft ware decision. Comments: Vtech Platinum is the best veterinary software on the market. Excellent integration of the medical side as well as boarding, grooming, etc. Very efficient with staying up to date, and listening to concerns and suggestions. Reports are endless, and the customer service is the best! (Justin, Michael) We would definitely recommend this software to anyone out there looking to improve their practice! Cost Effective and Easy to Use! Comments: Great PM software! We switched in 2012 from a very expensive well known product that wanted over $10,000 to upgrade to go paperless. This company is always coming out with new and innovative idea's that help my practice stay up-to-date and relevant in today's industry. If you are in the market for a well managed and easily accessible PM software, give these guys a call!